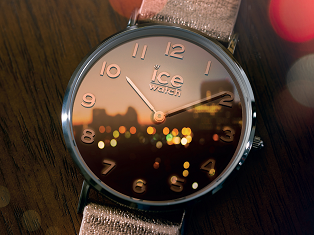 ICE sunset :so summer, so style, so fashion! A glimpse at their faces shows that summer will be sublime: with the Ice-Watch brand, you can experience the most beautiful sunsets. Tempo Acapulco guaranteed! Scanning the horizon of 2018 trends, the sunset colour range is ablaze, glowing and irradiant. It adorns each hour with bold, graduated sunset shades. Fresh, cool, intense, ‘muy caleinte’, stormy... Take your pick, it’s your turn to be bold! What pictorial talent! 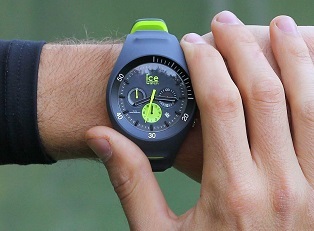 Pink, turquoise, marine blue, grenadine, cloud grey, lemon & orange zest: the colour shading of the 'Chameleon' Ice-Watch is particularly energising. 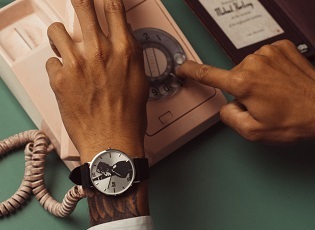 The temperature may soar, but the ICE sunset will ride it out in style by combining the acidic freshness of its cinemascopic sunsets with the cool softness of its silicone straps. 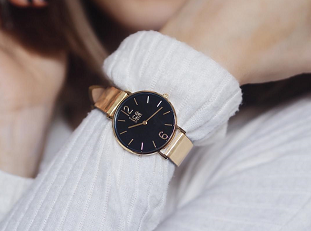 White, pale pink, marine blue or black: their matt-look strap highlights the acidic sheen of the sunray metal dials. As the epitome of ICE elegance, the warmth of the rose gold enhances every detail: the crown, hands and time markers. The dial of the Small models (34 mm) features number index markers, whereas the Medium models (40 mm) boast minimalist stick index markers. Available in 2 sizes, the ICE sunset will be the ideal fashion accessory to round off any sporty look, making a chic accomplice to any ‘Love Boat cruise’.